Dr. Scott Dee, DVM, MS, PhD, Dipl; ACVM, Pipestone Veterinary Services presented “Application of air filtration to swine breeding units for the prevention of airborne diseases,” describing the critical role that veterinarian’s play in preventing the spread of airborne diseases of swine including; Porcine reproductive and respiratory syndrome virus, M. hyopneumoniae, Swine influenza virus, Porcine epidemic diarrhea virus, Foot & mouth disease virus, and Aujeszky’s disease virus. 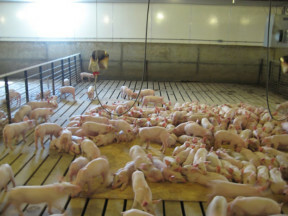 Of these, Porcine reproductive and respiratory syndrome virus (PRRS) is the one most critical for the application of air filtration. PRRS mutates rapidly and is difficult to vaccinate. 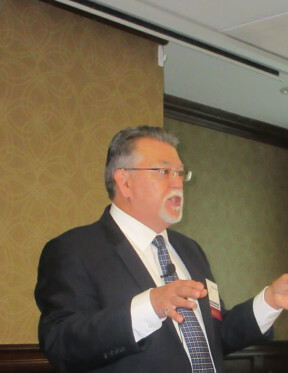 Dr. Dee explained and showed several types of intervention strategies that were instituted including; critical point entry, showers and gowning areas, supply entry checkpoints, pig load-out checkpoints, and truck and trailer washing and drying areas. All of this takes place at the sow farm and this is the site of filtration also. With the above strategies in place, air intake areas are covered with filter holding frames and various types of air filters are inserted. Air moving systems are designed for two-way operation; to bring in outdoor air in the summer for cooling and filter warm air during winter months. 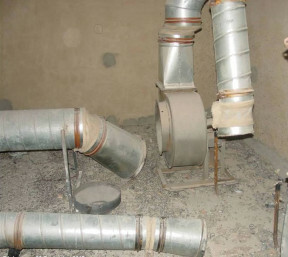 Plenum construction with minipleat V-cell filters installed along the side and top of a sow farm air intake. 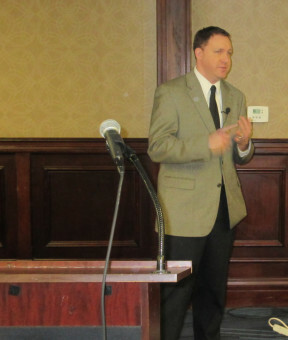 Dr. Dee explained the economic impact of PRRS is estimated at between $5 & 6 million dollars per year (PRRS negative effect is approximately $5-7 per pig) and air filtration has been shown to significantly reduce the spread of the PRRS virus, costing between $1.50 and $2.50 per pig. In conclusion, Dr. Dee’s 10-year work with this project has shown the value air filtration adds to the prevention and spread of the PRRS virus. 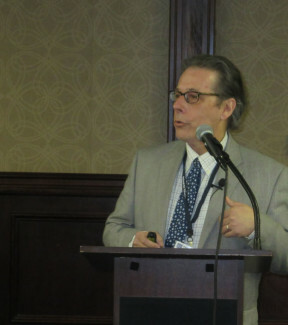 Garry Blackwelder Architect, Infection Control Team, Centers for Disease Control and Prevention presented on “Airborne Infection Control – “Filters Save the World.” Mr. Blackwelder shared that up to 80% of the Tuberculosis (TB) we see in the US is from foreign sources. His main focus is working overseas to prevent TB from coming to the US. There are approximately 2 million TB deaths per year and the incidence of people infected with TB now is higher, globally, than any other communicable disease. Many people have latent TB infection – not an active case but has been be infected with TB and our immune systems suppress the disease. In India, environmental control is a problematic because of the lack of good maintenance. Also, medical people do not fully understand the positive environmental filtration can have as a prevention strategy. Efforts to prevent the spread of TB has to take many strategies and the goal of the CDC is to provide education in all of these areas. Mr. Blackwelder was accompanied on a most recent trip by Chris Zaker and Bill Palmer to teach air filtration and UVGI techniques to engineers, hospital personnel and medical professionals in Mumbai and New Delhi, India. Future trips are planned and NAFA hopes to become actively involved with helping the CDC educate affected populations about prevention of the spread of TB by filtration. 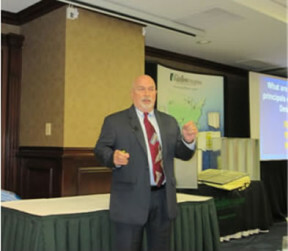 Alan C. Veeck, CAFS, NCT II, Executive Director of NAFA then presented the “NAFA Guide to Air Filtration” 5th Edition update. This update seminar is a requirement for all CAFS accredited NAFA Members who received their certification after April, 2015. 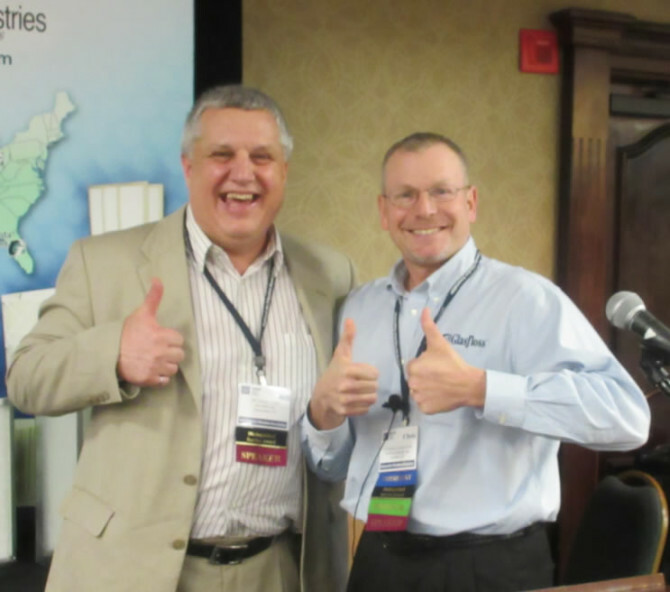 The seminar will be presented at the NAFA Annual meeting in Key West and the NAFA TECH2016 seminar in Scottsdale, AZ. Please be sure to attend one of these sessions to keep your accreditation current. Michael Corbat, BSE, MBA, Senior Product Engineer Filtration Group, and Chair of ASHRAE SSPC 52.2, US Expert, ISO Working Group 142/WG 9 – presented the “Changes and Challenges of ANSI/ASHRAE 52.2 and ISO Update.” Mike reported on the new MERV Parameter Table shown below and also explained that existing reports are allowed to be recalculated using the new table as long as they are 2012 or newer, must meet all of the new 2015 shedding and humidity requirements, must print “Recalculated” and reprint date on the report and must still contain original test information including date. All new reports must contain language “52.2-2012 with 2015 Supplement. The new humidity range will be 45%+-10% measured at the filter under flow. Standardizes time for measuring shedding – 20 min with downstream background shall be no more than 5% greater than upstream during challenge. The use of an optical particle counter will now be mandatory and this will help reduce variation between laboratories. 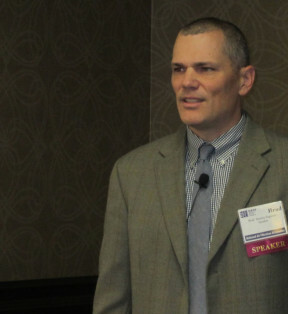 The proposal to bring Appendix J testing into the Standard was voted down at the Chicago meeting and it will remain as an Appendix in the Standard. Full test only to use the acronym MERV on the report – this will help eliminate any confusion about “initial efficiency tests” that extrapolate the MERV from this initial efficiency. Efficiency data must be included in report –ing this will include the minimum efficiency graph showing the MERV numbers as plots during loading. 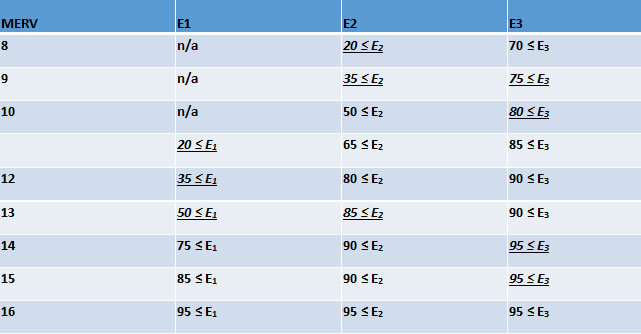 E values included in reporting value – Example MERV 12-80/90 – this is being done to help engineers better understand the particulate efficiency removal by a percentage similar to earlier 52 test reports. Optional Appendix for multi-stage filter testing – it has been suggested for many years that the 52.2 test should utilize two-stage and three-stage filtration testing for those units that employ multi-filter bank systems. Several research projects are underway, one which includes an isopropyl alcohol vapor discharge step originally proposed by Monroe Britt, and shown to provide a faster, easier, cheaper method for reaching minimum efficiency for electrically enhanced media. Mr. Vincent began by describing the criteria for Evidence-based Medicine – to provide for patient and staff safety and reduce the rates of infection a d provide a good ROI for the bottom line. His area of expertise is in reducing pathogens in air, surface and water and involves the same types of controls as any disease – administrative, environmental and respiratory infection. Tuberculosis, influenza, SARS, Measles, Adenovirus, and MERS. Because our facility is located in New York, we are also concerned about those produced as bioterrorism weapons include Smallpox, Anthrax, Glanders , Viral hemorrhagic fevers, Pneumonic plague, Tularemia, and Drug resistant TB. Mr. Vincent provided a complete review of the applications of upper air UV showing the different ways it can be applied and measured to assure and effect application. 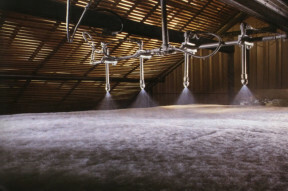 One of the unique applications included an egg-crate ceiling application where air moving equipment and UV equipment is installed above a grid ceiling that allows treatment of all air to be circulated throughout the room. He also showed several applications of UVGI technology in hospitals, shelters, and congregation areas. Dr. Wagner began her presentation by reminding us that there are about 200 people per day that will die in our hospitals and heathcare facilities from nosocomial infections. People are the biggest contributor to the contaminants within a space. Her research is dedicated to reducing the numbers of hospital operating room infections. 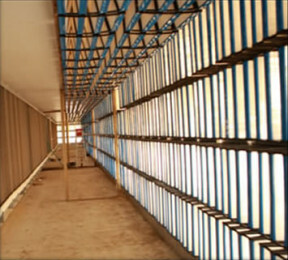 Currently, there are three types of operating suite designs for filters; an air curtain, Multi-diffuser array, and single large diffuser. While each have some advantages and disadvantages, the single large diffuser provides a better airflow pattern down and past the patient on the operating table, sweeping contaminants away from the table. Dr. Wagner has set up mock hospital operating rooms with multiple sampling sites or both microbiological contaminants and particle counts. 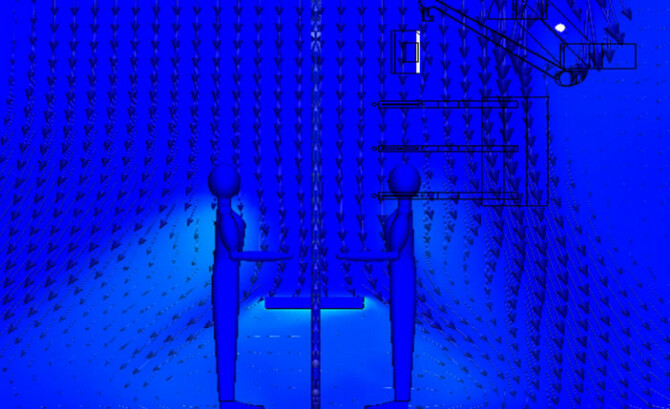 Her fluid dynamic model of a single large diffuser shows reduced turbulence and better laminar airflow down and way form the operating table. 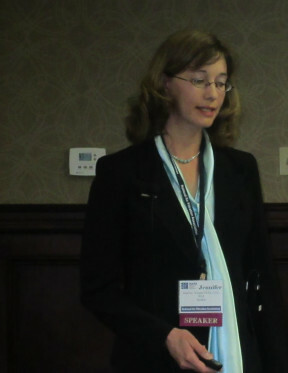 Dr. Wagner’s research shows the ability to move from a ISO Class 8 to an ISO Class 5 based on the control of contaminants. Results of her “mock” operations shows a reduced microbiological contaminants and reduced particle counts using the single large diffuser. She reported her group had secured actual hospital operating rooms from hospitals that have been decommissioned and plans to build a single diffuser OR to test for results to confirm the mock data. Mr. Ogle began by providing the places where one might find nonwoven materials including wipes, diapers, shoes, lapels of closthing, under the carpeting, tiles in a ceiling, you sleep in it and under it, 47 products in automobiles, and air filter – just about everywhere. Nonwovens are not knitted, woven, yarns, tufted, or paper and are usually made from either fibers or resins. The market for nonwovens is usually described in three parts – disposables (diapers, wipes, etc.) semi-durables – (air filters), and durables (furniture and automobiles), and the manufacture process has four parts; selection of raw materials; formation of a web; bonding of web into fabric; and finish/covert fabric. 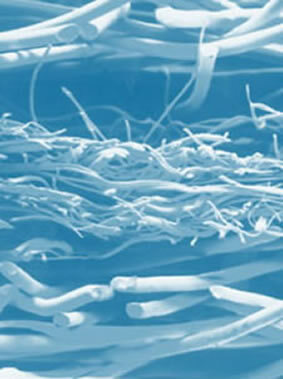 Magnified view of spunbond/meltblown/spunbond combination of layered nonwoven materials. Mr. Ogle then showed animated production processes involving carding, air laid, cross lap, and wet laid production. In addition, he showed the processes of spunbond, meltblown, spunbond/meltblown combination, and films, and the various bonding and other processes that can be done to each. Mr. Stanley began by describing the MOT as the testing of molecular filters – those filters that remove gaseous contaminants from the airstream, also known as gas-phase filters, or chemical filters. 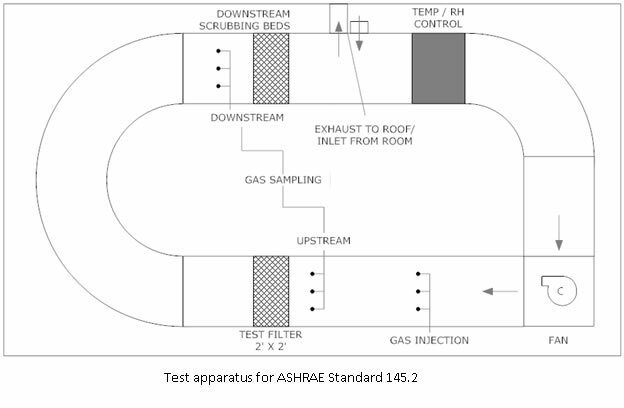 He then outlined the presentation to include definitions and examples of gas-phase filters, and the test apparatus, method and procedure , and test report and data interpretation. 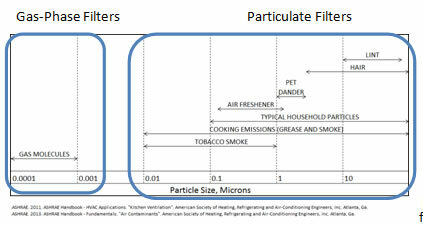 Gas-phase particles are shown on this particle chart and are far smaller than particles thought of for particulate filtration. Most all of the time, pressure drop, visually “seeing” the particles on the filter and time are not relevant for particulate filtration. He then showed the different types of molecular filters commonly found on the market including pleated and granular or pellet-type configuration with several holding devices and combination particulate/gas-phase filters. As is the case with particulate filters, the best molecular filters have a low pressure drop, high initial efficiency and high capacity (holding capacity of challenge contaminant). Bill Palmer began the presentation with a description of the genesis of the trip and how India has a high population of TB, and how helping solve these problems in India will keep these issues from coming to America. Bill and Chris, along with Mr. Blackwelder, provided seminars in New Delhi and Mumbai to healthcare providers and ASHRAE Members on the best practice applications of UVGI and air filtration. The challenges in India include lack of proper sanitation and public health policies, lack of HVAC&R equipment and reliable maintenance and materials, and the lack of education on the best methods and practices to control Tuberculosis among the population. 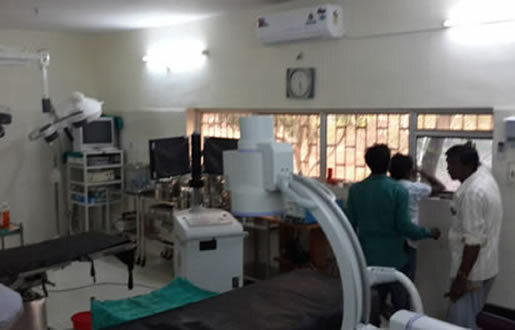 Through the presentation of air filtration and UVGI, NAFA’s goal is to help educate healthcare professionals better apply their skills to eradicate TB. Bill and Chris both ended the presentation with an impassioned plea and personal commitment for continued work and support by NAFA for this outreach effort.